I will always remember when I saw Toy Story at the theater when it first came out. This isn't a movie that needed to grow on me with time, although I am certain my appreciation for it is far deeper today then it was back then. I loved it the first time sitting in that sticky, squeaky chair, looking up at the massive screen before me, but now it's a wonderful combination of that nostalgia with a realization that this is still a completely ingenious, pretty much perfect piece of animated cinema. It's fascinating discussing the movie with my kid because it really illustrates how much perspective plays a role in the level of appreciation. Not that she doesn't love Toy Story, she does, but for her it's just one of a number of great Pixar movies. The fact that it was the feature length debut for the animation studio is meaningless to her, and telling her that the film was a groundbreaking moment for the medium as it was the first picture to be created entirely via the computer rather than be drawn by hand elicits an "Oh wow" and a nod of the head, but truthfully those are just words. Such animation is the norm for her where as a Studio Ghibli film is what looks and feels strange. 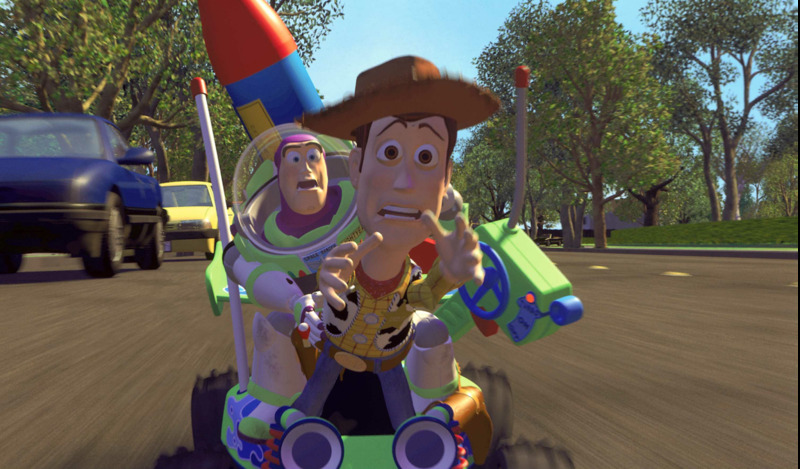 Like it or not, Toy Story was when that transition began and the landscape has been altered ever since. I say like it or not because when I watch some of the Disney classics or the aforementioned Studio Ghibli masterpieces, I can't help but miss the lush detail and charm of a hand drawn beauty, but that's only because of the saturation of computer animation for over 20 years now. When I first saw Toy Story, you wouldn't have been able to convince me I would ever feel inclined to go backwards again. The way the characters popped off the screen and how they and the world they occupy feel shockingly organic. The richness of the color in every frame. It's all so masterfully crafted, and add in the brisk 80 or so minute running time that is so marvelously paced I couldn't possibly trim or add a minute and what we have here is one of the finest animated films ever made. I didn't even mention the spot on vocal casting and the way actors such as Tom Hanks, Tim Allen, Don Rickles, John Ratzenberger and more bring the toys to life and provide them with such vibrant personalities. 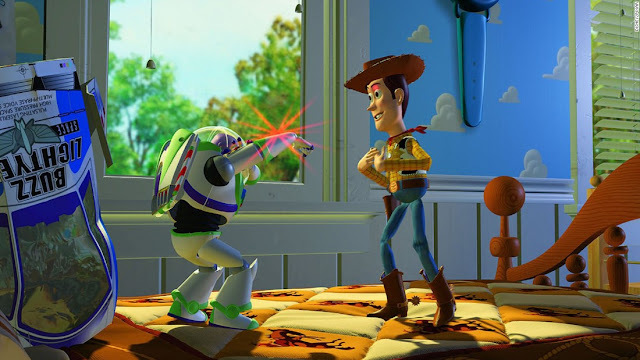 I don't have an ill word to say about Toy Story, and every time I see it I am transported to that chair in a theater that doesn't even exist anymore yet it still feels like I can reach out and touch the magical glow of the screen. ranking these has always been so hard for me. Honestly, despite thinking the sequel is also magical and a 5/5, I think I might rank it last...? See I just don't know. My heart always draws me to the first one because it was released when I was a kid and I saw it in the theater, and then the third one might be the best film of the bunch....the second one got lost in my teenage years and didn't quite mean as much when it was released, but now watching it I recognize that it's excellent.